This year's class of the Magic: The Gathering Pro Tour Hall of Fame has been determined and two players will be suiting up for the induction ceremony taking place during the weekend of Pro Tour Guilds of Ravnica in Atlanta later this year. Seth Manfield will be going into the Hall of Fame very much at the peak of his powers. Seth had already been on the ballot previous to this season, but when he added a fourth Pro Tour Top 8—which culminated in him winning Pro Tour Ixalan—to a resume that already included winning the 2015 World Championship, he was one of the most mentioned names as ballots were being sent out. "When I first found out that I was getting into the Hall of Fame, there was just a tremendous amount of excitement," said Manfield during the build-up to his year's World Championship. "This was something that I have wanted ever since I started playing Magic and realized I could play at the Pro Tour. It has just been a lifelong dream and goal of mine to get there. I knew being on the ballot this year and having put up some additional strong results that I would have a good chance and be someone in the discussion for it." Manfield was attracted to the game at a very early age by both the collectible aspect and the strategic elements. Even though he was only eight years old when he began playing Magic, he knew that strategy games were something that spoke to him at the very fiber of his being. "My dad was a world champion bridge player—that's a strategy game—so I knew that I had the DNA to play," said the second generation World Champion. "Magic is just so complex that I don't even know all the rules still. I can go back to old sets when I was not playing and still not know what banding does. It is just a game where I can constantly learn and evolve myself. All those different layers of complexity are what drew me to the game." "The first event where I thought that I could compete with the best of the best was when I won Grand Prix Daytona Beach," recalled Manfield. "Keep in mind that I was only sixteen at the time and I was in a star-studded Top 8 where I got to play against Paulo Vitor Damo da Rosa in the finals. I knew that if I could win a Grand Prix filled with top pros, then what can't I do." As Seth Manfield attempts to become a two-time World Champion this weekend in Las Vegas he will have one of the players—also a Hall of Famer—who inspired him at the onset of his pro career commentating on his matches for the Japanese coverage team. "When I first started playing the player I watched the most—and thought "Wow! This guy is just absurd"—was Kenji Tsumura. Watching him make all those Top 8s was just really special," said Manfield. "Also playing at my local store there were pros like Alex Majlaton—who I still play with—who you can see yourself getting better with. That is also pretty special." Getting inducted into the Hall of Fame and being included in the same breath as someone he looked up to like Tsumura felt a little dizzying to Manfield. "I can be emotional. After I won the World Championship, people did see that side of me and this is something that is very meaningful to me. Sometimes it is not just about a monetary value or how many Pro Points you have. It is about your peers respecting you and having them vote for you into the Hall of Fame. It is just kind of crazy. 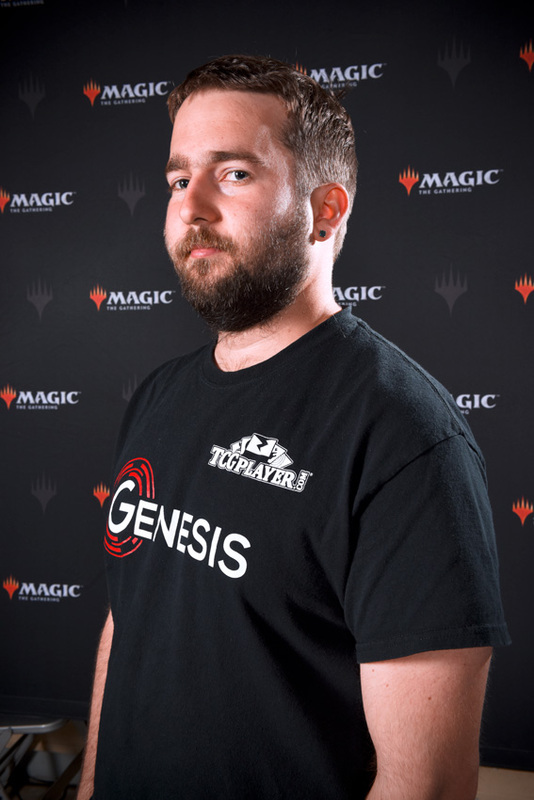 It is something I have devoted my life to up to this point, and to know that I have achieved what I set out to is a weird feeling because in many ways I am still in my prime as a Magic player." Manfield has no intention of slowing down anytime soon. His most recent Top 8 was that win to start the season at Pro Tour Ixalan, and he ended the year with a piece of the Player of the Year title—full ownership of the title will be fought for in a playoff in the near future—and racked up multiple Grand Prix Top 8s this season to pad his resume to sixteen Top 8s, including five wins. Manfield will have the opportunity to make some remarks during the induction ceremony in Atlanta, but wanted to single a couple of people out at this point. Hong Kong's Lee Shi Tian will become the first non-Japanese player from the APAC region to be inducted into the Hall of Fame, and Lee felt extra pressure on himself as he waited to hear the results of the balloting in his first year of eligibility. With five Pro Tour Top 8s and tremendous community contributions, he seemed like a slam-dunk candidate—but he did not want to make any assumptions. 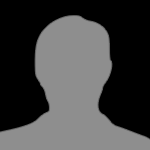 In fact, he did not even know he would get a call from Scott Larabee before the announcement this weekend, however the balloting turned out. Like Manfield, Lee Shi Tian had his eyes on the Hall of Fame right from the outset of his Magic-playing career. "Being a Hall of Famer is the biggest grind-able goal for a Magic player. It was on my task list since the first day I tried to be a pro. The goals of a Magic player will normally become greedier and greedier. Once I wanted to play in a Pro Tour. Then I wanted be a Pro Tour regular. Then I wanted to make Top 8. Then I wanted to make more Top 8s, and at the end I wanted to be Hall of Famer. And here I am. Today the job is done." Lee's big breakthrough came when he made the Top 8 of Pro Tour Return to Ravnica, which showcased Modern—a format he would become known as a master of. Two of his next four Pro Tour Top 8s came in the Modern format. Early on his career, Lee Shi Tian learned a valuable lesson from watching two future Hall of Famers battle in the Top 8 of the 2006 World Championship. "This is a story I seldom tell, but it was the first competitive video coverage I ever watched," recalled Lee. "The match was Makihito Mihara playing against Paulo Vitor Damo da Rosa. At that time I was still a casual player and rooting for Mihara to win. He made a mistake going off, miscounting one mana. He used Repeal and topdecked the third Rite of Flame. Since then I have been totally hooked on combo decks. And I learned a huge lesson from Mihara: never give up." Even though his breakthrough Top 8 came during Pro Tour Return to Ravnica, it was Pro Tour Khans of Tarkir where Lee decided he really belonged on the Pro Tour. It came at a time when there was a lot of political unrest back home in Hong Kong, and being able to get to the Sunday stage and represent his country was a pivotal moment for him. "From Christian Calcano to Yam Wing Chung to Javier Dominguez, getting people burst into tears of joy is always the best reward for any effort," said Lee proudly. "And forming a successful testing team from more than ten countries is my biggest achievement in Magic." That team was first and foremost on his mind as he started musing about who he would thank during his remarks at the induction ceremony this November. "I would like to thank the original members of Team MTG Ming Card, Chapman Sim, Huang Hao Shan, and Kuo Tzu Ching. We started the team from nothing. I wouldn't be here without you guys. I would also like to thank Tomoharu Saito; it is impossible to form this team without him. 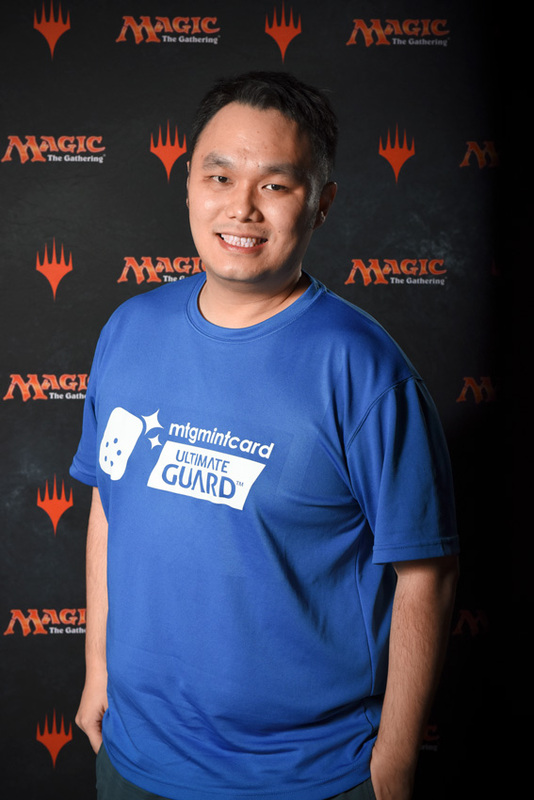 Congratulations to both Seth Manfield and Lee Shi Tian, the 2018 class of the Magic: The Gathering Pro Tour Hall of Fame! You can watch both players during the induction ceremony from Pro Tour Guilds of Ravnica at the start of the upcoming Pro Tour season.